We’ve all been there. It’s the morning after the night before, you’re hung-over, hungry and only have a crumpled fiver in your pocket. 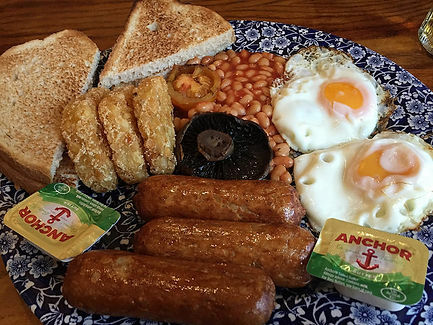 A Wetherspoon pub is the answer to your prayers. The ‘Large Vegetarian Breakfast’ is an understatement. At 1434 calories it’s a whopper and just what such mornings call for! 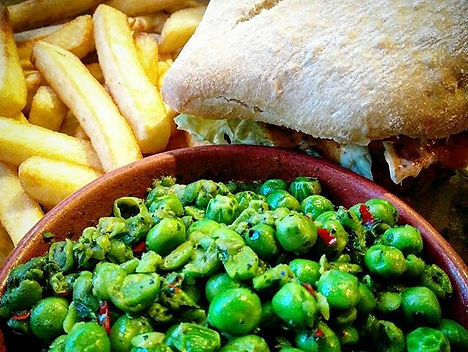 Outside of the breakfast menu, ‘Spoons have got a large range of veggie and vegan options for those moments when only some pub grub will do. Jamie is one of the few celebrity chef’s who has made a real commitment to vegetarian and vegan dishes. 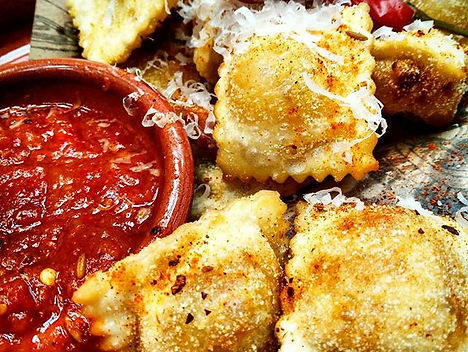 He has spoken openly about the need for meat-free days and as such, his Italian menu serves up some gorgeous veggie options. 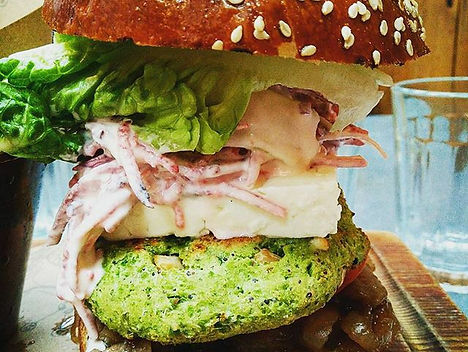 The veggie burger is an absolute monster, I call it the hulk burger. 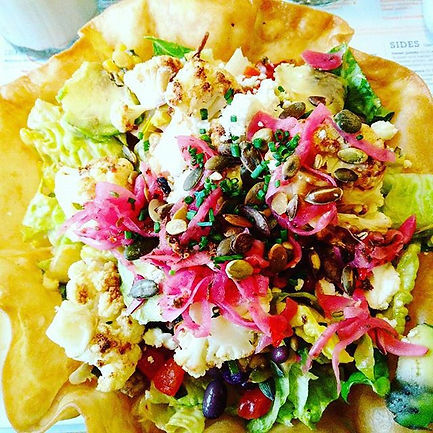 The super food Salads are also something special. I can hear you now: ‘Right, he’s lost it! He’s recommended a flippin’ chicken restaurant for vegetarians!’ I can see where you’re coming from but bear with me here. I was genuinely shocked how good Nando’s veggie options were. 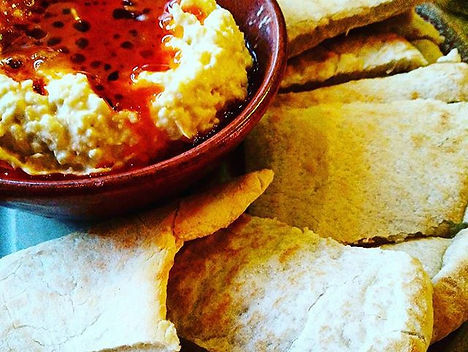 Everyone knows about the legendary hummus with peri peri drizzle but with the mains you actually get more choice than the meat eaters. All they get is chicken or steak, we can choose from three different veggie versions of their classic burgers, wraps and salads. Plus, all the sauces are vegan. Trust me on this one! I’ve been to Italy twice since becoming vegetarian and both times waiters have looked at me as if I’m crazy when I’ve tentatively said ‘Sono vegetariano’. It’s great to see Pizza Express have decided to be more welcoming to British veggies. 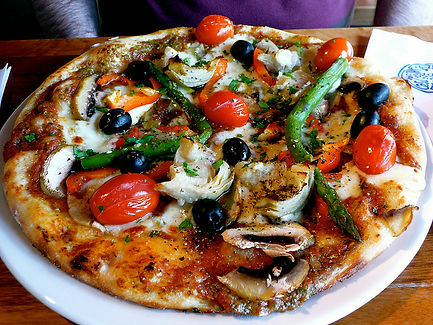 Delicious pizzas, pasta, salads and other mains make this a no-brainer veggie destination. Has a Bill’s opened up in your town yet? This chain, with officially the friendliest staff I’ve ever met, has expanded rapidly over the last few years. It’s no wonder: the homely, country feel with delicious food is a hit with everyone. They love their veggies at Bill’s. Given that it started in Brighton, this isn’t a surprise. 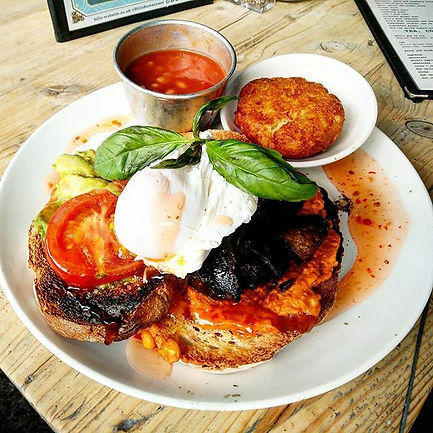 The Veggie breakfast is nothing short of legendary and the main dishes for later in the day are just as classy. 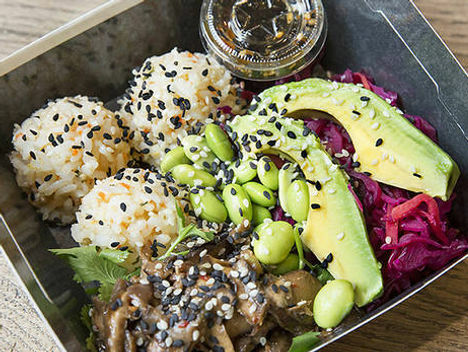 Who doesn’t love a Wagas! 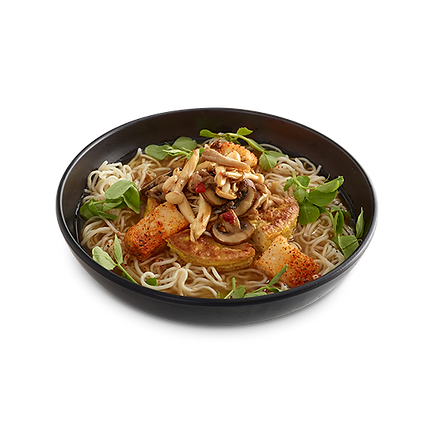 I used to live in Wagamamas, not literally, there’s laws against that but it used to make up approximately 80% of my diet. It was relief, therefore, to find that once I went veggie, they were just as keen to feed me delicious Asian treats. Sometimes you just need a big bowl of Ramen and the Yasai ramen has all the nourishing, deliciousness of the meaty options. Le Pain JUST satisfies my criteria as they have one store outside London, in Bicester Village. There was no way I was leaving it off this list though, it’s one of my favourites. As you can guess from the name (the first part, not the weird word that sounds like a bird) they’re all about bread. The most beautiful bread and they love serving up veggie treats to go with it. 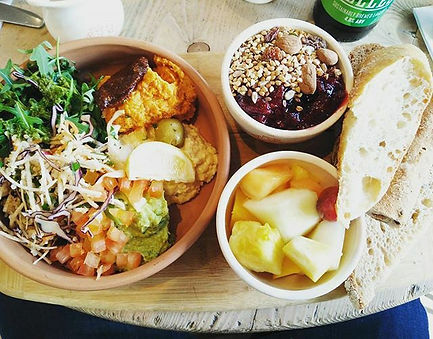 Do yourself a favour and go at the weekend for their vegan brunch board: it’s an epic meal and comes with a coffee! If you’re not feeling bready (what’s wrong with you?) there’s eggs, salads, tarts, tartines, quiches and all the other delicious Belgian via New York inspired food you could want. Organic Hummus Ménage À Trois. Smashing into the top three is South American fusion chain Las Iguanas. Their vegetarian menu is something to behold. It’s HUGE! 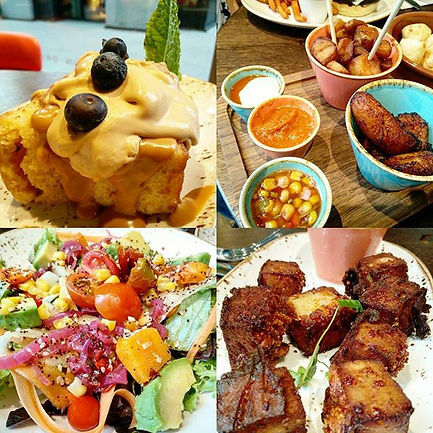 It’s full of big, bold South American flavours to satisfy even the hungriest Veggie LAD. Expect every type of carb on the planet, including plantain and cassava, which are both delicious. You can also expect black beans, sweet potato, halloumi and palm hearts featuring heavily. Oh Thomasina Miers, if I ever meet you, expect a serious awkward fan moment. I can be found in Wahaca about three times a week. The Mexican street food chain has proved a real hit in the UK and my local one is always rocking. Now, they love their meat at Wahaca, there’s no doubt, but the veggie options are spectacular. You can get yourself a street food feast of Tacos, Tostadas, Tacquitos and Quesadillas or, like me, get yourself the Supercharged Salad, a giant taco bowl filled with Avocado, feta, corn, beans, pumpkin seeds and spelt. It’s addictive. CUE FANFARE! The winner of the coveted Veggie LAD trophy (I don’t actually have a trophy) for best chain restaurant for vegetarians is of course Pret. Now, I realise that they’re not as ‘restauranty’ as the other places on this list, but when it comes to commitment to vegetarian and vegan food, Pret are light-years ahead of the game. They opened a veggie only store for goodness sake! And, it’s proved so popular that they’ve announced it’s staying. Oh, the food’s great as well. 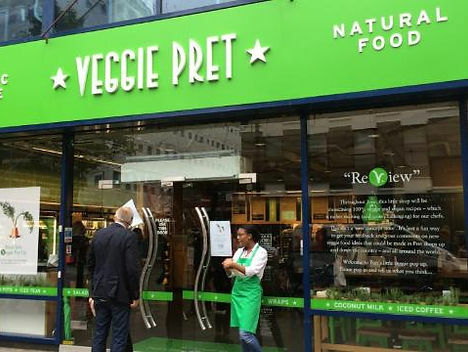 Fresh tasting, great ingredients, regular veggie specials and Pret’s promise that everything is made on the day. WORTHY WINNERS. Did your favourite make it into my Top Ten? Let me know your favourite and where it should’ve come! Subscribe to Veggie LAD for all the latest veggie recipes, features and special offers. Good list. Might I also suggest Leon, who have wonderful vegan porridge (ruby red). Regarding Italy, it gets easier further south – in Napoli and Sicily it was easy to find veggie dishes on a “normal” menu.